David J. Schow is a tremendous writer and raconteur of all things horror and sci-fi. This book is awesome. Why his stuff is so hard to find is beyond rational explanation. 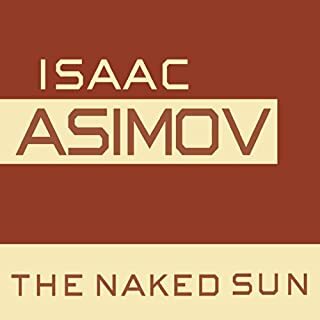 Asimov has enthralled readers once again in this second book of the series. In Caves of Steel he introduced us to Elijah Baley and he continues his adventures here. With a great new world and a compelling mystery, this is a must read for classic science fiction fans! Five stars! The year is 2031. The United States has sealed itself off from the rest of the world. The state of the country is dire; the Constitution is ancient history, the poverty level is at an all-time high, and there is more corruption in the government than ever before. And oh yeah, Mel Gibson is president. But something is wrong with Mr. Gibson. He doesn't seem quite...human. What unfolds is a battle unlike any other. Bring on the Invaders, a secret society whose mission is to destroy the unknown forces in D.C. and take back this country. Mr. Richard is going places..... Probably hell .... And they will be glad to see him. What made the experience of listening to DAVE! (A Novel from the Future), Part 1: The Invaders the most enjoyable? The narrator was great, but most importantly the tone of the story was on point. Short, but sweet. What other book might you compare DAVE! (A Novel from the Future), Part 1: The Invaders to and why? Not sure as this is truly original. I love the future predictions such as Trump as President. 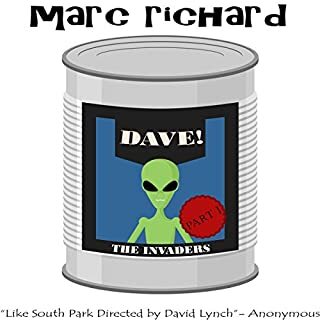 Marc Richard is a great author who mixes just the right amount of crazy humor to sell the story and keep you turning the pages. The junkie. The goth girl. The redneck. The nerd. The gangsta. The gay kid. The jock. The twins who can't even tell themselves apart. A loveable cast of walking clichés, out for a week in a cabin in the middle of nowhere. What could possibly happen? Murder, that's what! Who left that dead girl skewered on the porch, anyway? All are suspect, as the slayings become more and more ridiculous. Hell of a way to spend a vacation. Will they find out who the killer is in time to stop this madness, or will this mean the end for all? Would you listen to Harm's Way again? Why? Absolutely. 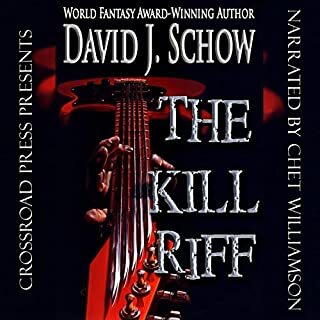 David S. Dear did a great job with the narration. He hit all the right notes and made the characters believable. And given that their were a number of main characters, I was never confused as to who was speaking. 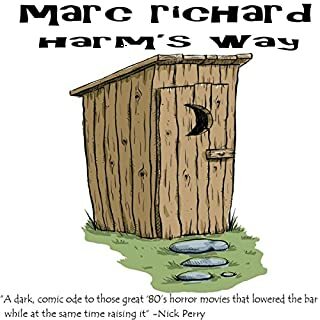 I especially liked the way Marc Richard walked the fine line between comedy and weird horror. This was an original book that took an old premise and turned it on its head. The humor was reminiscent of Vonnegut, South Park and Hunter S. Thompson. The horror was gruesome in a way that horror hounds will love. The characters are first rate and they all feel like real people. Have you listened to any of David S. Dear’s other performances before? How does this one compare? It certainly made me laugh, from the first chapter. If you want something new and fresh, and who doesn't?, then check this one out! If you could sum up The Gates in three words, what would they be? 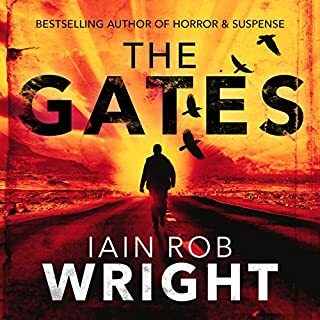 Iain Rob Wright is one of my favorite newer horror writers and Nigel Patterson does an awesome job narrating his books. It's a great pairing of talent. If you want a fresh voice in the horror scene, then look no further, Wright has you covered. Check out his back catalogue too, I especially recommended Housemates and ASBO! The old man hears them before he sees them, the three boys coming over the hill, disturbing the peace by the river where he's fishing. He smells the gun oil too, too much oil on a brand-new shotgun. These aren't hunters, they're rich kids who don't care about the river and the fish and the old man. Or his dog. Red is the name of the old man's dog, his best friend in the world. And when the boys shoot the dog—for nothing, for simple spite—he sees red, like a mist before his eyes. And before the whole thing is done there'll be more red. Absolutely! Jack Ketchum has such great insight into the human condition and his astute observations are very worthy of being shared. Character motivation. What the main character does and why he does it are what makes Red a great read. I won't give any spoilers (too many reviewers thoughtlessly do so) but it's enough to say the protaganist is a good man who deals with horrible circumstances in a way that I, as a reader, could really relate to.As an animal lover, this book spoke to me in ways few works of art ever do. Unlike pabulum like Marley and Me, Red shows what it is really like to have a strong and lasting relationship with a canine. What about Gary Kohler’s performance did you like? Kohler does a great job reading with varying levels of intensity. He speeds up and slows down at all the right moments and as such he makes the reader feel a part of the story. I did. I couldn't put it down. 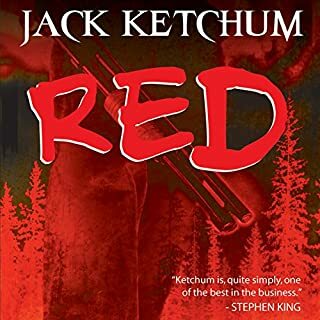 As with most of Jack Ketchum's books, Red is a look into the human condition and the things that drive us all. Whether it be horrorific circumstance or the love if one being for another, the themes of his works are true. 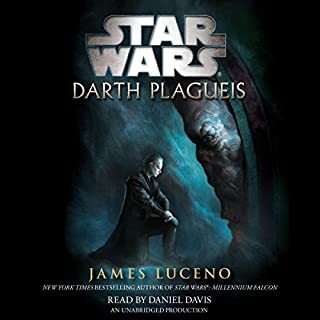 This book explains a lot about the backstory of Darth Sidious That was only hinted at in E Revenge of the Sith. Darth Sidious because his origins are finally explained and explored. The reader finds out about is complete evil. The content of this book is exactly the type of material that Episode 1 was missing in the movie.